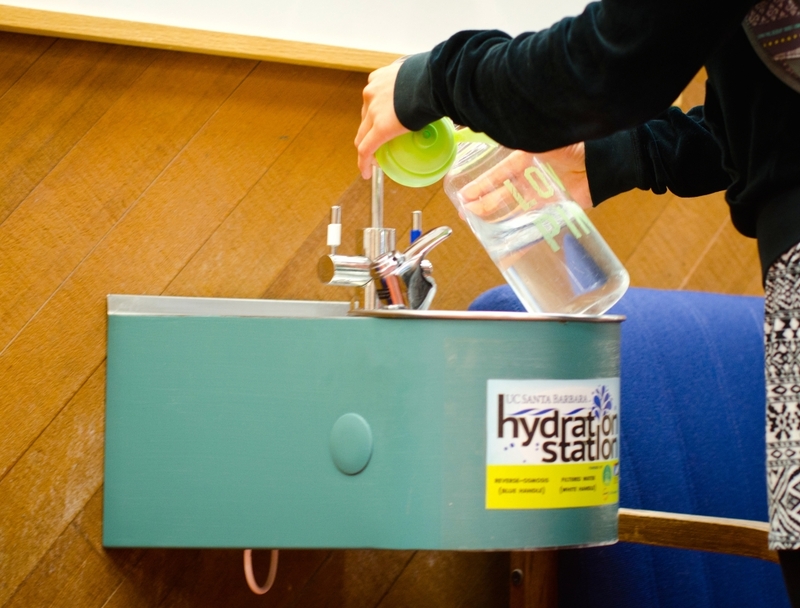 Additional hydration stations will be installed at the UCSB Library thanks to one TGIF grant. 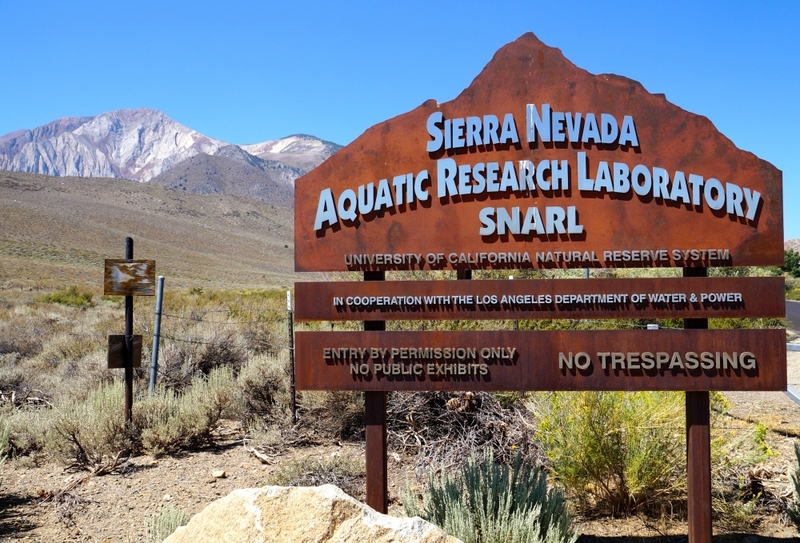 UCSB's Mammoth Lakes-based Sierra Nevada Aquatic Research Lab is one of two reserves in the region, together known as Valentine Eastern Sierra Reserve. SNARL's planned new lecture hall will employ photovoltaic energy generation and ground source heating and cooling, making it a "net-zero" consumer of fossil fuels. 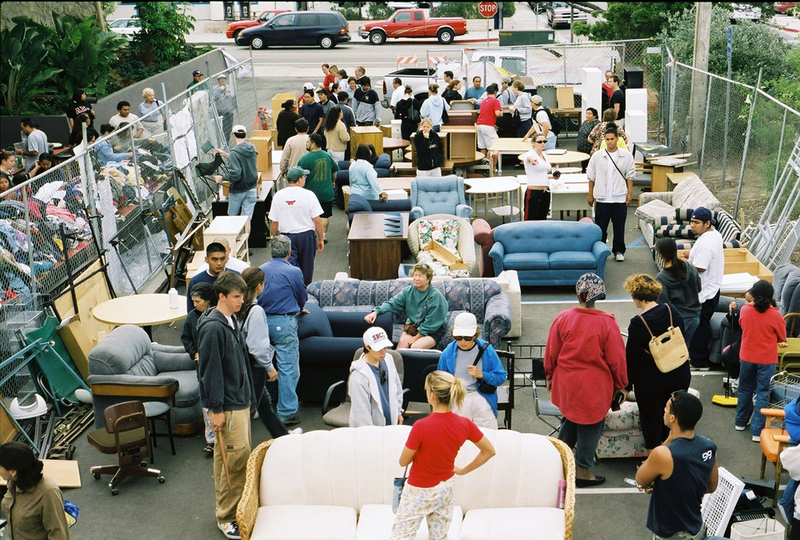 Receiving a TGIF grant this year, GIVE Project collects and sells donated food, clothing, furniture, books and electronics each June, and gives the proceeds to Isla Vista nonprofits. Awarding efforts focused on everything from composting and energy conservation to lighting retrofits and weed management, UC Santa Barbara’s The Green Initiative Fund (TGIF) Grant Making Committee has selected its grant recipients for the 2013–2014 funding cycle. The TGIF committee, composed primarily of undergraduate and graduate students, received 22 applications for various campus sustainability projects from UCSB students, staff and faculty. In the end, 14 projects were selected to receive awards totaling $184,614. The initiatives are expected to produce major environmental savings across campus. Energy Conservation Initiative, $30,000: Funds will pay for 1,000 hours of experienced staff researcher time to assess and implement new strategies for energy-efficient laboratory ventilation in existing and new campus lab buildings. Future savings potential runs as high as $3 million, in addition to energy, water and carbon footprint. Art Department LED Retrofit, $25,995: The Art Department’s studios and museum will replace inefficient incandescent lights with 542 LED lamps, which is expected to save 1.5 million kWh of energy, 500 metric tons of CO2 and more than $200,000 over the average lifespan of the higher-efficiency bulbs. The First Net-Zero Energy Building for UCSB, $20,000: To make its planned new classroom a “net zero” consumer of fossil fuel, UCSB's Sierra Nevada Aquatic Research Laboratory (SNARL) will employ photovoltaic energy generation and ground source heating and cooling. Donor funding has been secured for 85 percent of the cost to install the two energy systems; TGIF grant funds will cover the rest. This will be the first “net-zero” energy building in the UC system. Office Desk-Side Recycling Bins, $17,900: Funds will be used to purchase 5,000 new recycling bins for offices across campus, a move that will increase accessibility of recycling and, in turn, grow UCSB’s waste diversion rate as it advances toward the UC-wide goal of Zero Waste by 2020. Mercury-free Fluorescent Microscopy, $17,581: Aiming to reduce waste and demonstrate the successful use of mercury-free illumination in research and teaching, the NRI-MCDB Microscopy Facility will use its grant funds to replace two mercury arc sources for fluorescence microscopy with solid-state light engines. UCSB Energy Management Initiative, $16,137: This project will see graduate students from the Bren School of Environmental Science & Management collaborate with university staff to develop a campus energy management implementation plan that, if successful, could reduce energy use in academic buildings by 10 to 15 percent. My Tree Keeper and Invasive Species Mapping Project, $15,201: This upgrade to the ongoing Campus Flora project will enhance efforts to develop a campus weed management plan by mapping exotic species that threaten sustainability for the native flora and fauna in UCSB’s natural areas. Two internships will also be funded by this grant. The additional projects to be funded are: UCSB Housing Energy Conservation Project, $9,200; GIVE Project, $8,375; Lithium Battery Powered Lawnmower, $7,487; Scholarship for UCSB Student to Attend California Higher Education Sustainability Conference, $4,657; Additional Hydration Stations for UCSB Library, $4,241; Vericompost Bin Project, $4,025; and Indoor Compost Bin Project, $3,812. TGIF was the first student-funded sustainability initiative of its kind — and the first green fee — in the UC system. Created in 2006 by an overwhelming majority vote of UCSB students, the current $3.47 per quarter lock-in fee contributes approximately $170,000 per year toward TGIF. The fee is up for renewal; voting is now underway.